You ever cook a meal and had nobody to share it with? So, just last night, I managed to make my mom’s potato casserole for the first time, and it ended up fantastic, but I encountered a problem; after spending two whole hours preparing it, with nobody in particular invited at all, I managed to somehow snap at my best friend over text — I was quite high-strung from being in the kitchen for so long — then ended up inviting not only him over for dinner, but a few other guests as well. 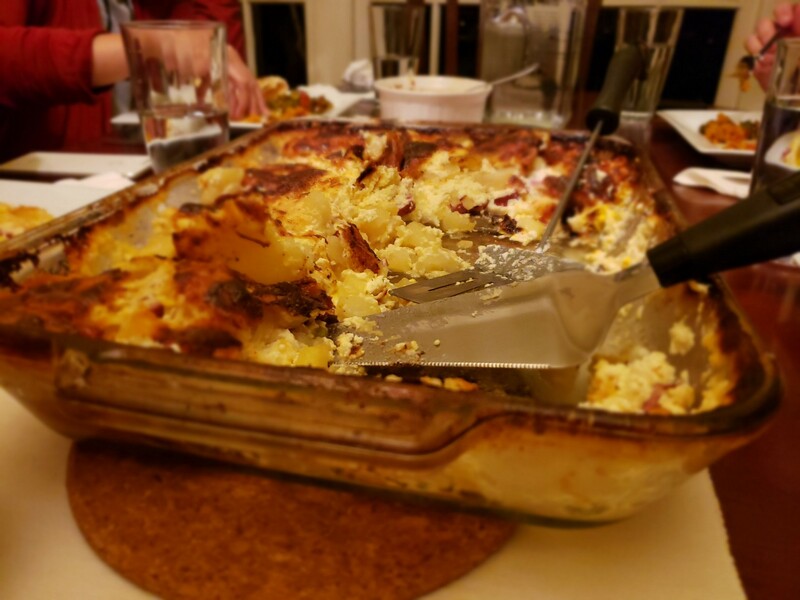 Next thing you know, I went from planning to eat dinner by myself or with just one of my roommates to eventually ending up with a fully set table and a gathering of six individuals apart from myself, all sharing in my mom’s delicious potato casserole. It was a lovely night and from the looks of things, most definitely not an uncommon occasion at my house. Now, I have no idea what I’ve managed to do, or perhaps what God did to rewire my soul, but I somehow went from always having my head in a book or constantly playing a video game (severely introverted) to all of a sudden now being burdened with a seemingly never-ending desire for community. I don’t know how often you cook and whether you can confirm this or not, but it appears to me that there is something so inherently selfless about cooking that it simply can’t be kept to yourself. I mean, sure, people can make breakfast foods for one, and that’s all fine and dandy, but in my experience, whenever I’ve made anything from Chicken Alfredo to potato casserole or salmon with shrimp scampi, I’ve always had a desire to find a way to share it with people — generally resorting to impromptu invites as I fed the hungry twenty-some-year-olds around me. Listen, at the end of the day, food and fellowship are basically inseparable. Eating with somebody is sharing your life with them. So, whether you can cook a five course meal or not, this morning I want to encourage you simply to just go out on a limb, cook something new, and invite people to eat food with you. You’ll be surprised with the results.